The penetration of mobile web in Africa is on the rise, and we predict that it will be as powerful as the mobile phone itself. Along with the increased presence of mobile web, we’re seeing an ecosystem growing around it. This includes everyone from Vodacom and IBM to small startups at m:lab in Nairobi. This week, we’ll look at recent highlights that bring these players together, both big and small, to facilitate the growth of mobile web. Vodacom, one of South Africa’s largest mobile network operators, is finding ways to encourage and engage innovation within the local developer community. The company has launched a new local app store designed to encourage innovation, provide jobs for developers, and foster the creation of unique and relevant local apps. The Vodacom Developer Programme (VDP) is especially designed to “enable” application developers and consumers. In addition, Vodacom is hosting a monthly competition for VDP members, the Vodacom App Stars Challenge, to highlight the best innovations in the community. Although 75% of Africans own a mobile phone, less than 25% own a computer (ITU, 2011). IBM, the traditional computer giant, is looking for ways to tap into the enormous potential on the African continent. Working with Bharti Airtel, the pair are developing an intelligent “new-generation mobile phone service” that will be offered in 16 countries. 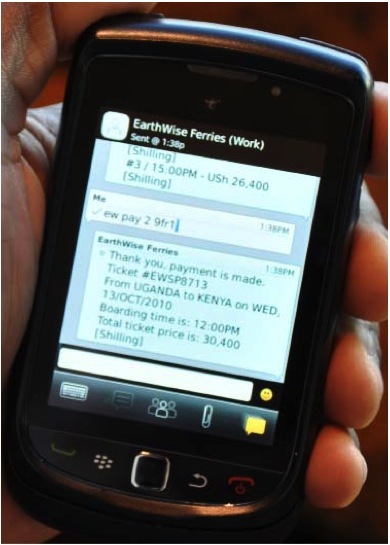 The new platform is designed to meet the needs of the growing “power user” market in Africa. By offering value-added services in one platform, IBM hopes to increase access to information and increase the affordability of ICT services. Mobile Web East Africa was held in Nairobi, Kenya this week. Two days of presentations and discussion highlighted the potential and importance of mobile web browsing and mobile applications in East Africa. If you missed it, the team at Afrinnovator live blogged the event. Visit their blog and you can see highlights including quotes and lessons learned from important players in the mobile ecosystem. Pivot East is a great opportunity for developers and startups in Nairobi to pitch to investors from around the world. Hosted by m:lab, there are five categories: financial services, business and resource management, entertainment, mobile society, and utilities. We encourage any entrepreneurs with a great, scalable, and affordable mobile technology to enter.